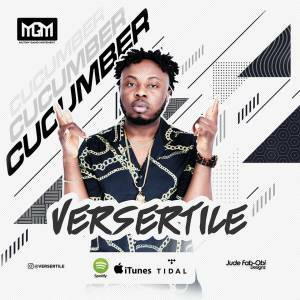 After taking some time off the music scene, Versertile return like he never left with a new Afro-Pop sound titled 'Cucumber' which was produced by Oge Beat and Mixed & Mastered by EaazyOnTheMix. Versertile is currently signed to MUTINY GANG MOVEMENT (M.G.M), as we all know the word MUTINY is coined from a military term which simply means an open rebellion against the proper authorities. In this case, the MUTINY movement is simply rebelling against the status quo of the Afrobeat/Afro-pop EU music industry, ignoring the laid down rules and changing the game.